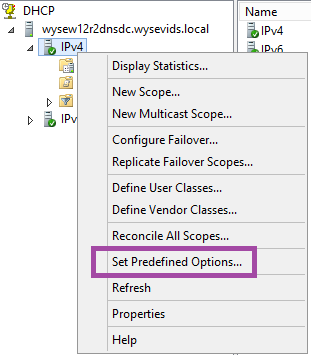 Today, I want to discuss how you can design Wyse ThinOS clients to get the information on basic things like the location of a FTP server, path to configuration files and other settings automatically without any effort from an end user. This will lead to being able to maintain a certain version of firmware and other settings that you wish to standardize. In the world of computing today, central management is huge and that is especially true with the number of devices that are being added to network environments. Long gone are the days of manually configuring each device one at a time. Which gets us to the point, how do I take a device out of the box, place it on the network and have it get configured correctly with no input from anyone. Please click on the picture to enlarge as it has a lot of great details. For this particular discussion, we are only concerned with the Option Tags 161, 162, 184 and 185. 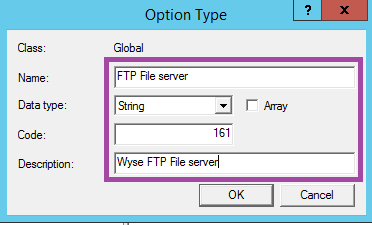 This is for the FTP configuration that will instruct your server which FTP server to access, the path and any log information if needed. 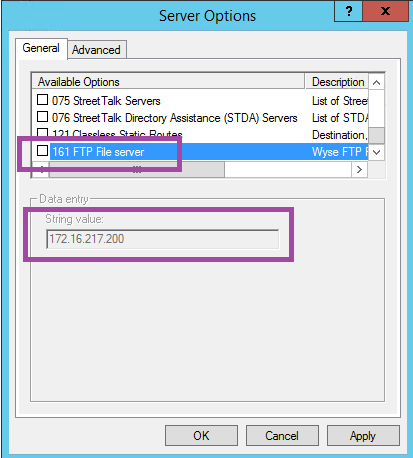 Option Tag 161 is used for the location of the file server and 162 is used for the path. Whereas, Option Tag 184 is used for Windows or local account user names and 185 is the password of that account which will be sent in clear text. Please note: The other tags not being mentioned here are for Citrix, CCM and WDM configurations. 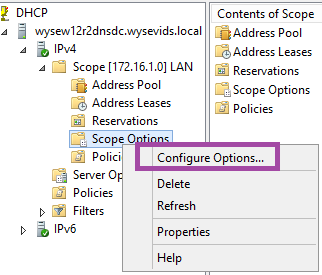 In this article, I am going to show you how to setup these DHCP user defined option tags in both Windows Server 2012R2 and/or 2008R2. 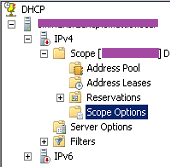 I am also going to assume that you already have the DHCP role installed. 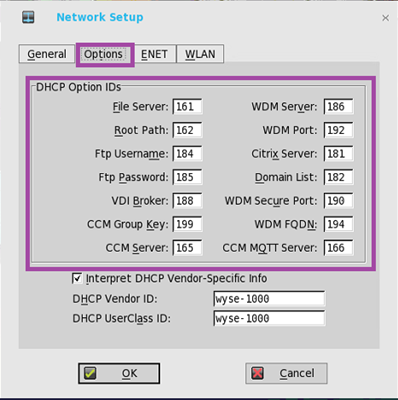 This is a walk-through of setting up DHCP Option Tag 161 for the FTP server. In most of the screen shots I am using Windows Server 2012R2. Note: For Option tags 161,162, 181, 182, 184 and 185 use the String Data type. 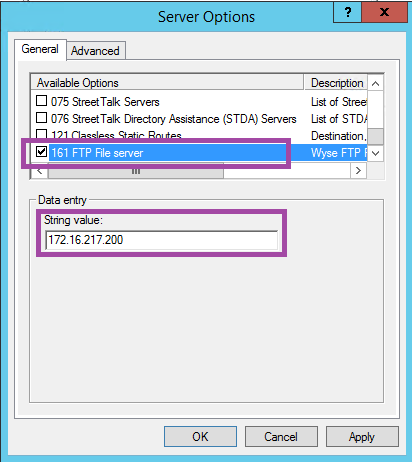 Use the IP Address Data type for 186 and Word Data type for 190 and 192. Please note: It is normally recommended to use Fully Qualified Domain Names (FQDN) as opposed to IP addresses, but each environment is different and unique. This is the same view in Windows Server 2008R2 which has a slight different look. 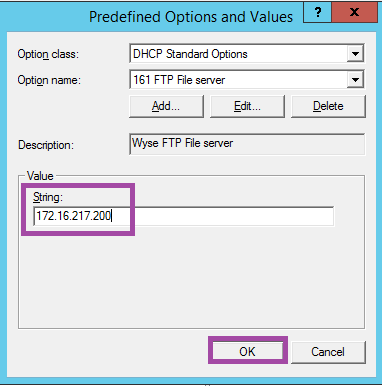 Now that we have configured our DHCP user defined option tags to use a FTP file server to configure your Wyse thin client. Let’s review how this process will work as the out of box experience thin client loads. 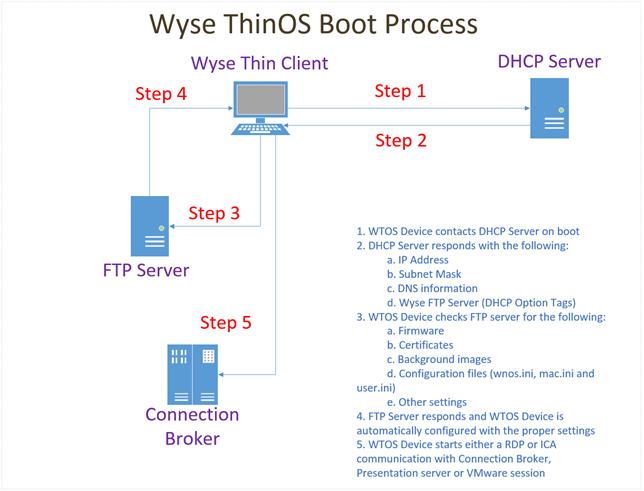 This is a graphical overview of the Wyse ThinOS boot process. It walks you through the five stages of a client booting up. 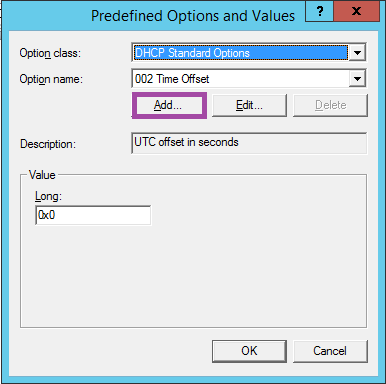 The thin client will contact the DHCP server to get an IP address and then it will respond with other pre-configured DHCP user defined option tags to provide the necessary information it needs per your environment. The next stage will contact the FTP server and will pull down any configurations, files and firmware or other settings if applicable. Now the Thin client is configured as you planned and it will enter the last stage and connect to your specific VDI environments. 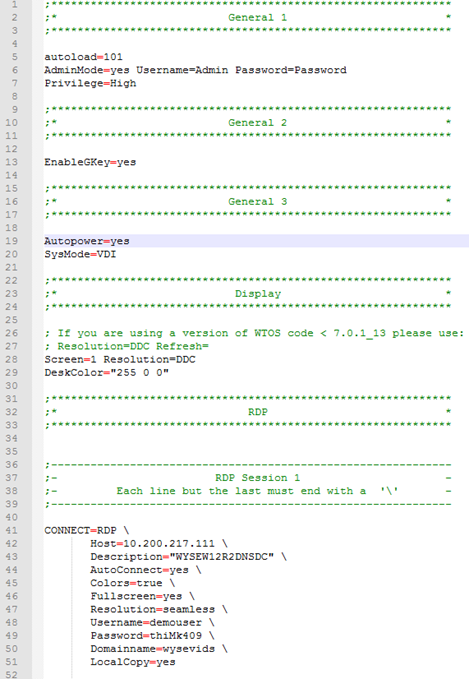 Here is a brief demo of a basic WNOS.ini file loading by itself. I want to highlight the Red background that is loaded as that will become important in the next article on this topic.